I recently had my first @HappyTokesTribe Meet-Up and it was so awesome I had to write about it! If you don’t know @HappyTokes aka Madison - you need to check her out! She is one of my favorite people on instagram. Her authenticity, passion for spreading positivity & educating people about cannabis, and the fun & creative ways she engages with her followers has always been super inspiring to me! She's a real gem! Aside from her personal account, she also runs the @HappyTokesTribe - a page dedicated to connecting her like-minded followers. Her “tribe” is made up of nearly 10,000 people who interact with each other online, send each other “Happy Mail” (stickers, art, & good vibes), and occasionally meet up to sesh! 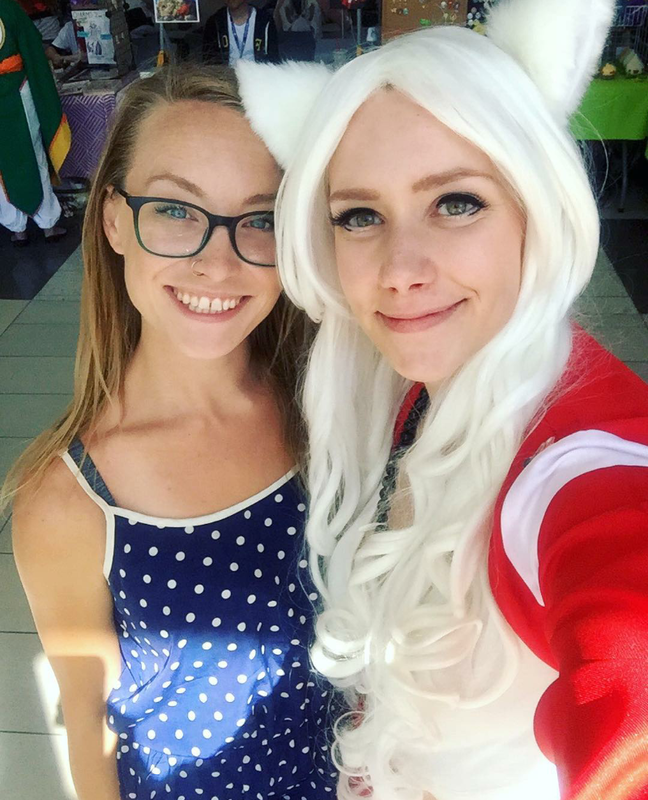 It's amazing to see the real sense of community she's developed online, and it's extra cool when those friendships have the chance to flourish in real life! So! A few weeks before my trip to Edmonton, I was doing a live feed on Instagram when fellow Tribe member @k80artwork joined! I loved her art, but I didn't know anything about her as a person. She heard me talking about my upcoming trip & told me she was from Alberta too! I had been following her for a while but for some reason thought she was American, so it was extra cool to find out she's a fellow Albertan! I may have thought she was from the states because that weekend some of her art was being shown at the Happy Tokes Tribe Art Show at the MADE gallery in Chicago and I just assumed she was local. Anyways. It turns out she lives an hour from Edmonton so I told her to DM me to see if we could meet up while I was out there! I wasn't going to be in the city very long, but we started chatting and I asked what she was doing on Saturday August 12th, as it was one day I didn't have plans for. She said she was actually going to be in Edmonton that day for the Anime Convention.. In full costume! Amazing! We kept in touch & made plans to meet that morning. The Anime Convention was being held in my old University which I hadn't been to in almost 5 years, so it was kind of surreal going back to the place I started my academic career and seeing it taken over by cos-players! Katie told me she was with her sister and she was wearing a red & white costume with a giant sword.. We met outside & needless to say she was easy to spot! We smoked as joint, puffed on a vape pen and chatted.. It was lovely! Katie and her sister Sam were super sweet and at no point did they feel like strangers.. Insta-friends indeed! We had talked online about her hand-made lighter sleeves & I had pointed out my favorite one.. Which she surprised me with! What a sweetheart! She told me she was honoured that one was my favorite since it was the first one she made! I was extra happy to have brought her a tweedledoob pin & stickers! It was extra cool to meet up in a city where neither of us lived, but just happened to be in at the same time. We talked about how our experiences of Edmonton that day were pretty much opposite; having spent 5 years in Toronto it felt super quiet and unpopulated to me, but she's from a small city that made Edmonton feel hectic! It didn't matter though - we were in our own little happy bubble and we were on my old campus so I knew my way around. I was expecting just to have a quick sesh and go, but Katie told me there was an “art alley” that was open to the public, so we went to have a look. It took us a while to get there since it was on the opposite side of the campus and when you're walking with two people in dopeass costumes, you get stopped to take a million pictures! It was very cool to see the genuine joy that people felt when they saw the girls all decked out! I don't know the characters, but from a construction standpoint alone they were impressive! I'm not into Anime myself, but I had a great time experiencing their vibrant culture. There were several classrooms open as dedicated spaces for people with the same interests to gather and do their thing - what a great way to bring people together! I typically think of fan-type expos as as place primarily for buying & selling related swag, but this was set up perfectly to foster new friendships and a sense of community. Very cool! I love this picture Katie took of us before I had to go! I had a great time & hope to meet up with Katie & other @HappyTokesTribe members soon!